Our company has been successful in winning appreciation from the clients as one of the most prominent names in the supply of Balcony Blinds. 1999 was the year when our firm “Sunrise HandLooms” got commenced. Our company is located at Dilshuknagar, Hyderabad, Telangana. We are a sole proprietorship based venture. 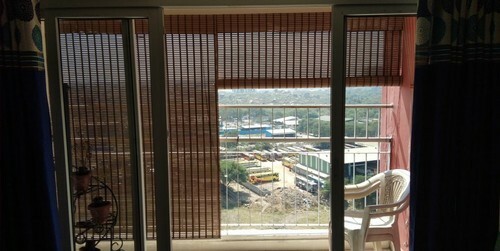 We are engaged in wholesale trading of Window Blind, Door Curtain, Window Curtain, Sofa Cover and Bed Sheet. All these merchandises are provided to the customer after tested on various quality parameters. Also, we have adopted rigorous superiority control measures, which enable us to deliver only best and quality tested products into the marketplace. Our entity is based on an unparalleled variety of high-quality and elegant products that create cost-effective solutions and improve people's lives.